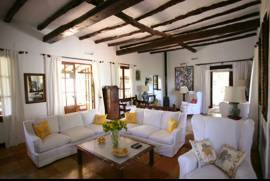 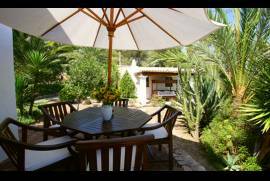 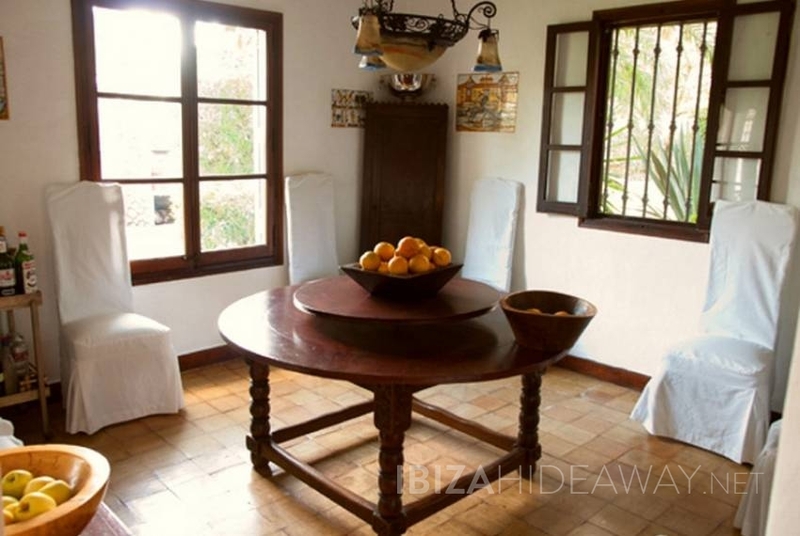 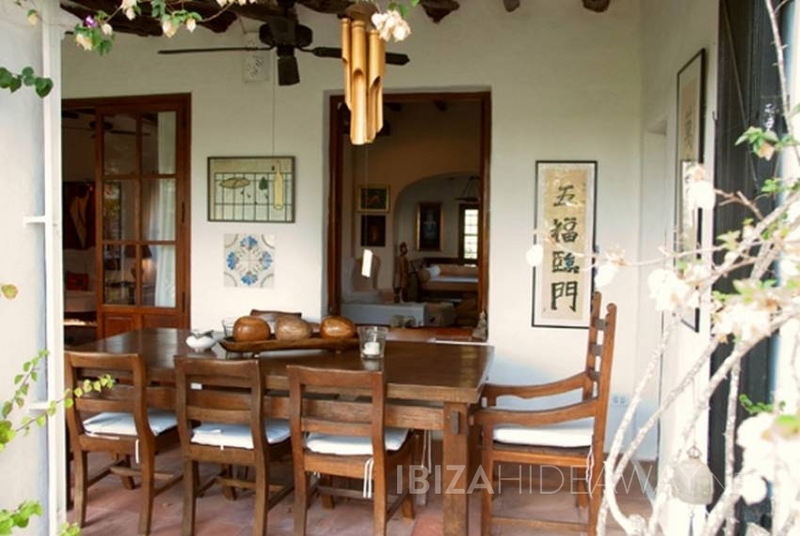 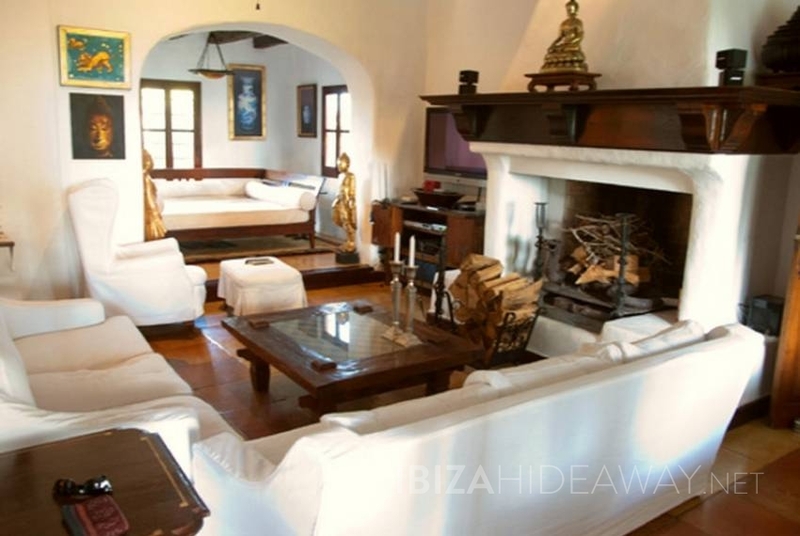 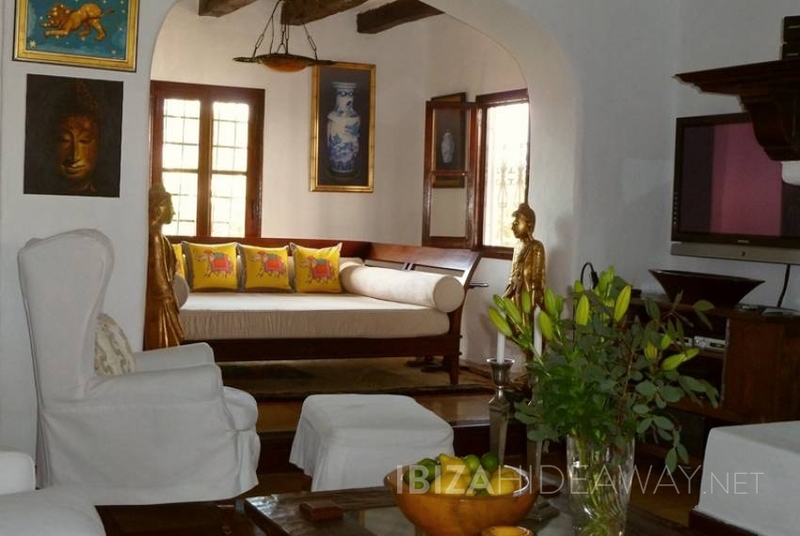 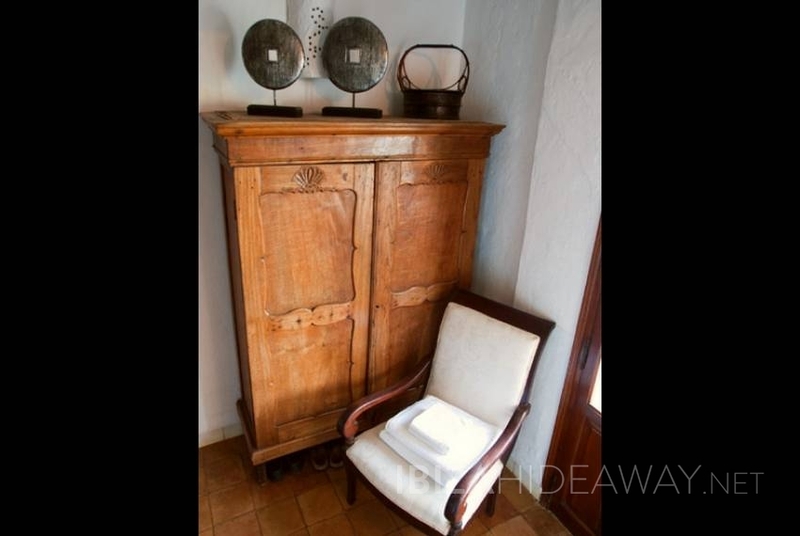 This spacious country mansion is found in top hill location just 4 km outside Ibiza towards San Rafael and within walking distance to the village. 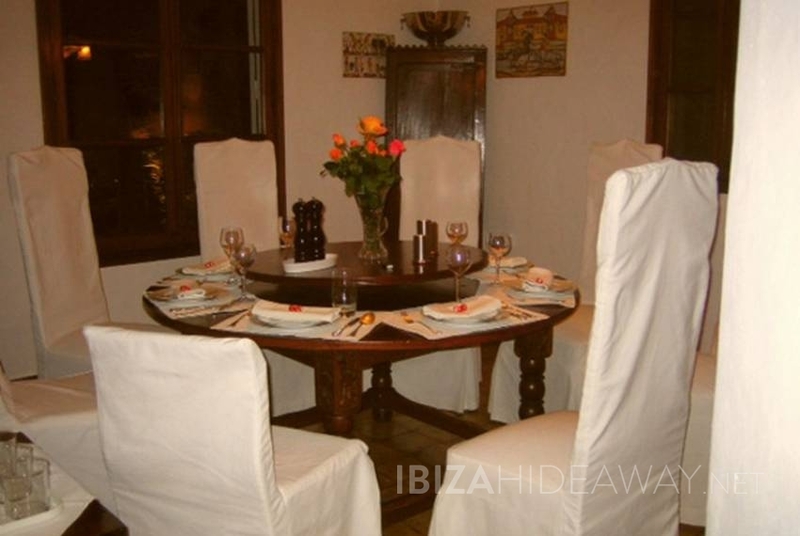 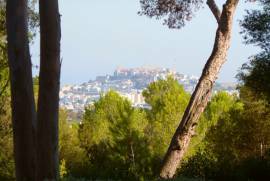 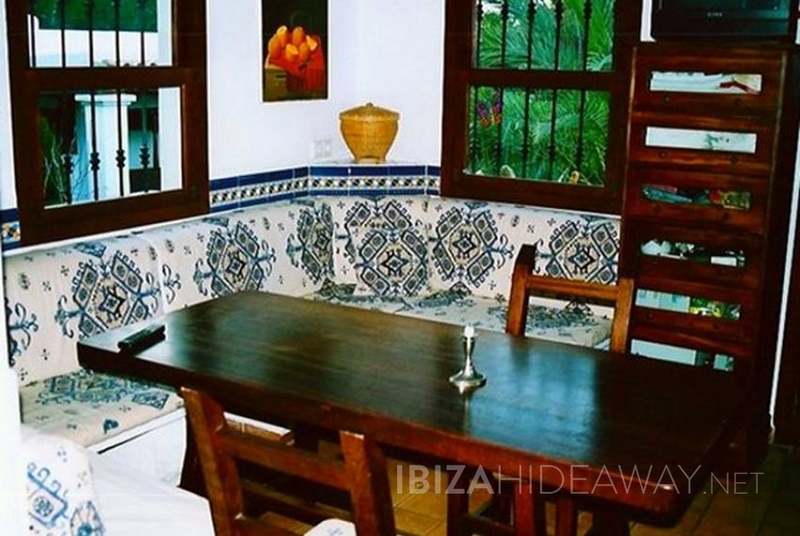 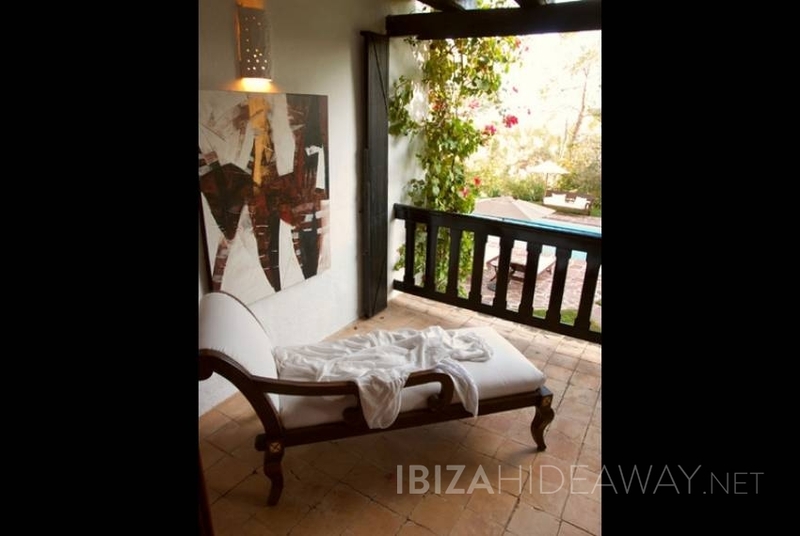 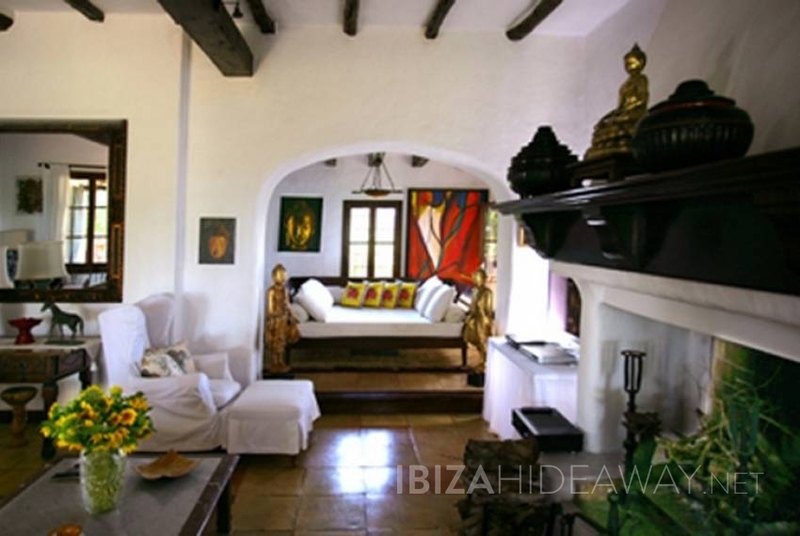 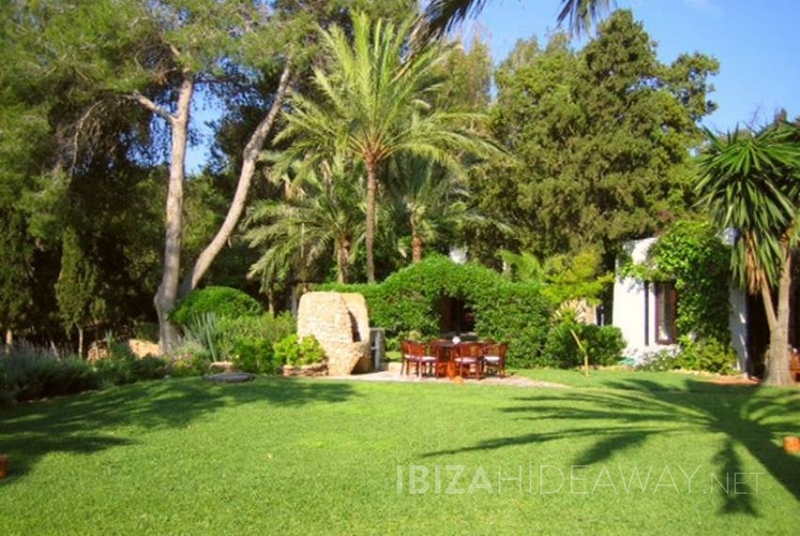 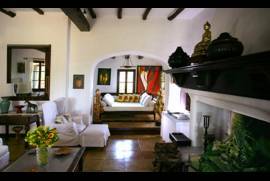 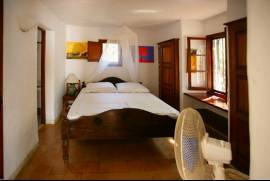 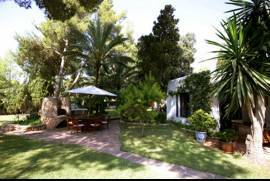 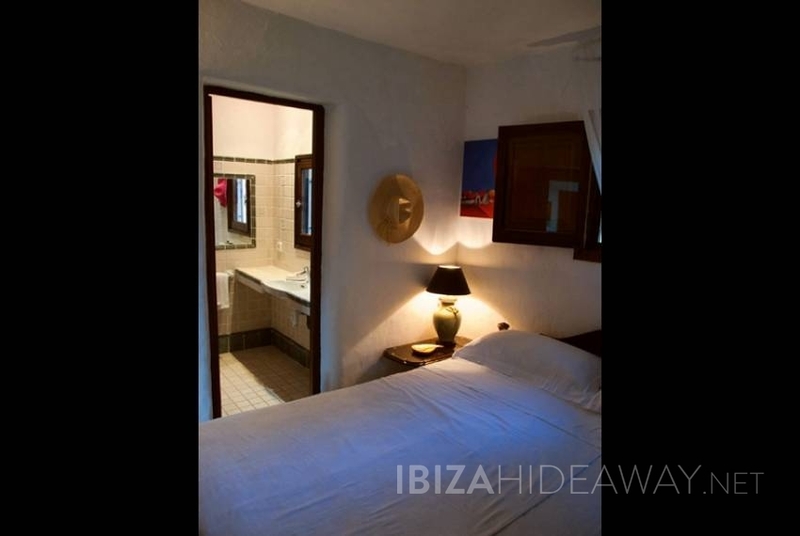 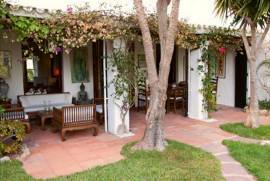 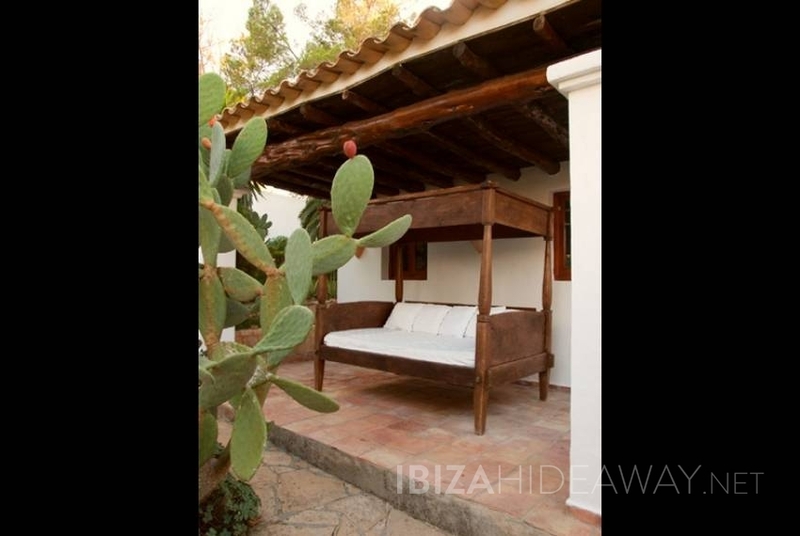 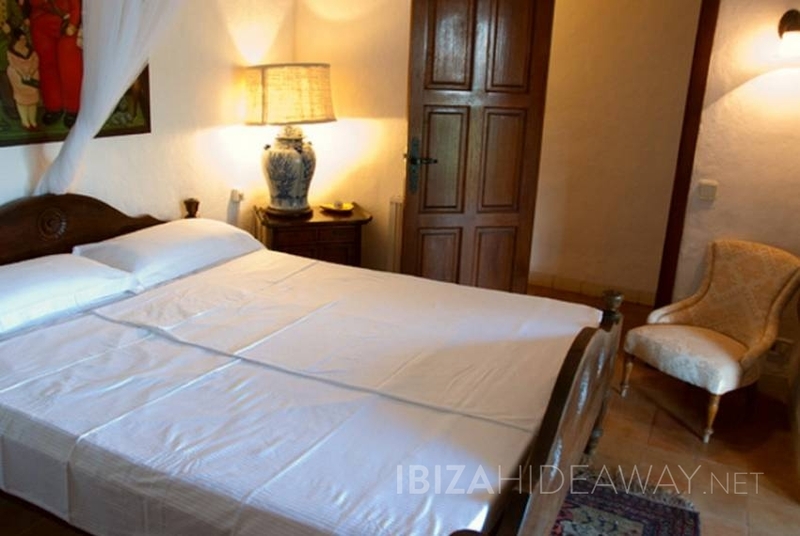 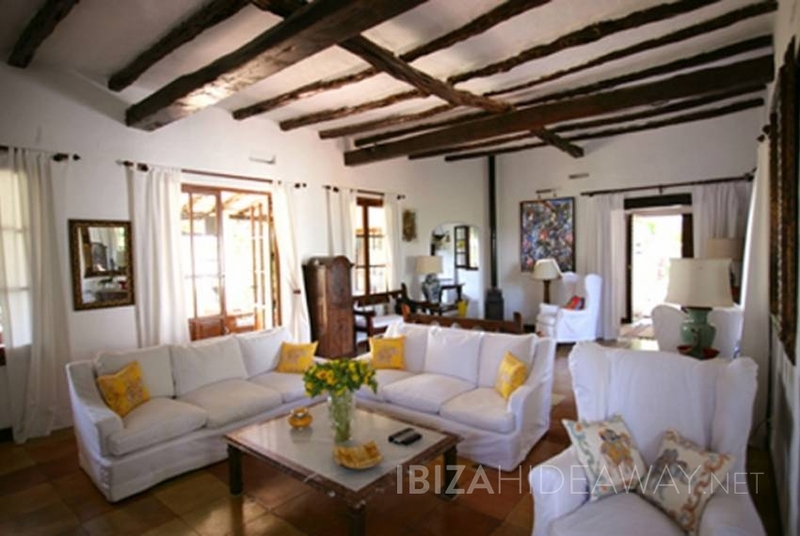 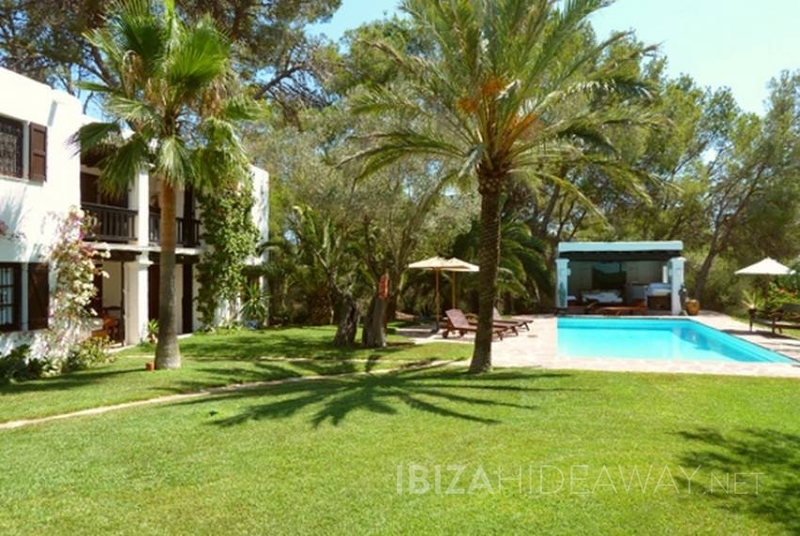 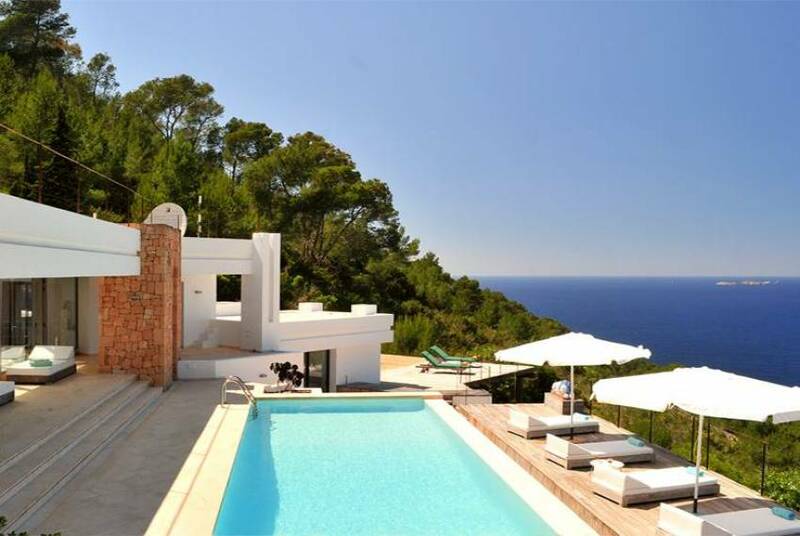 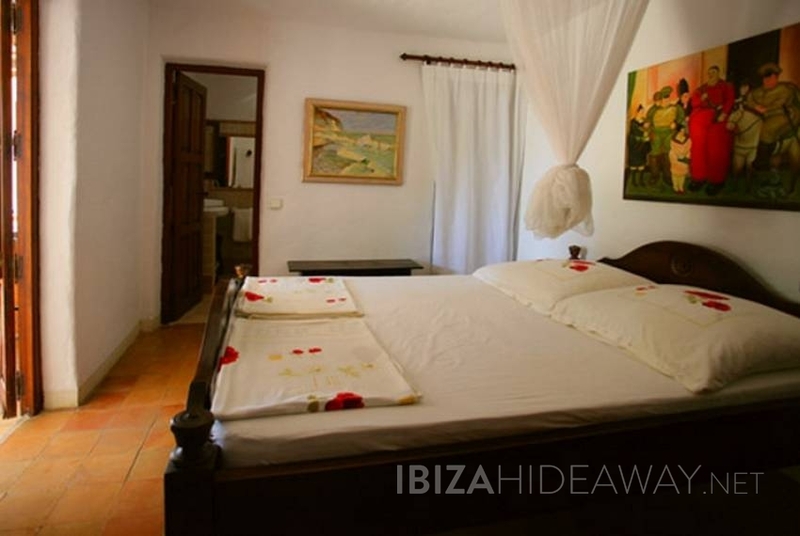 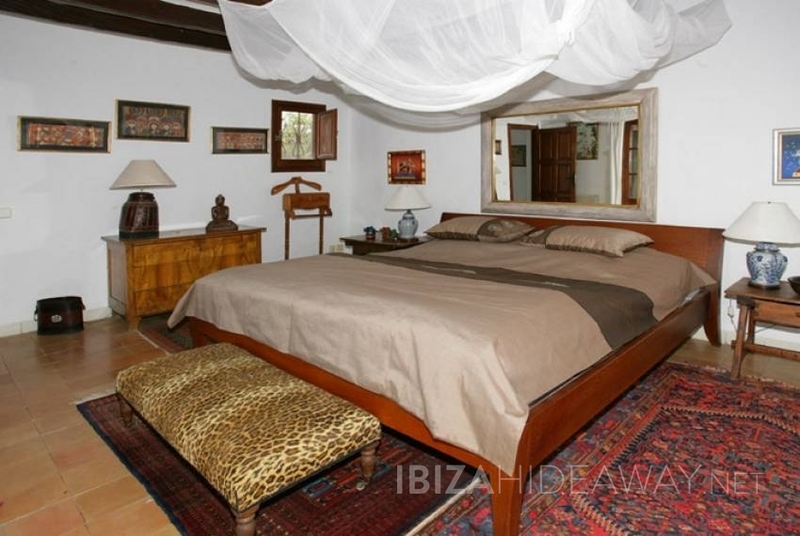 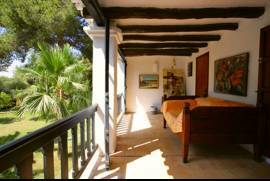 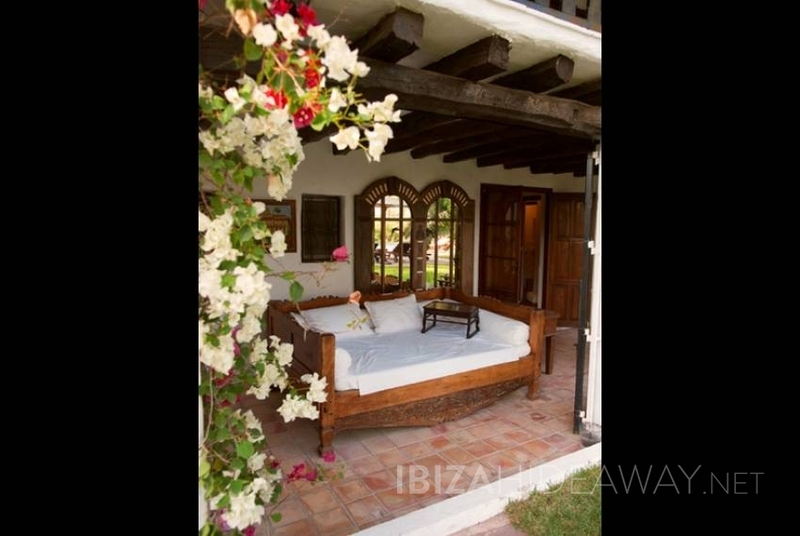 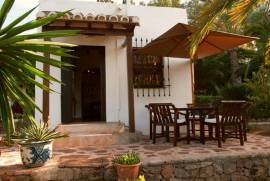 It offers beautiful panoramic views to the sea and to Ibiza old town, which is just a short drive away. 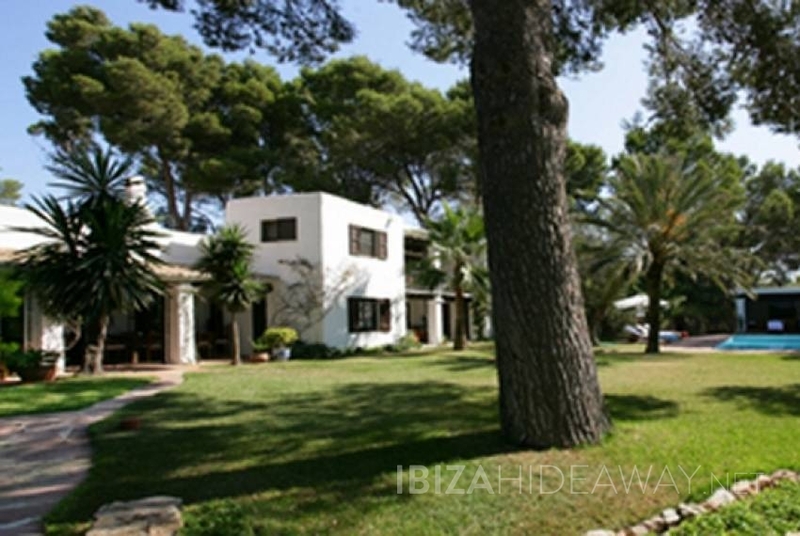 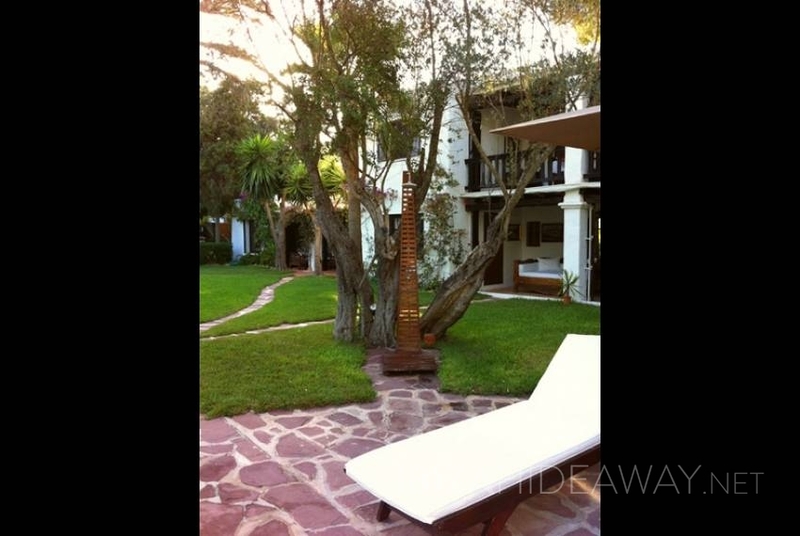 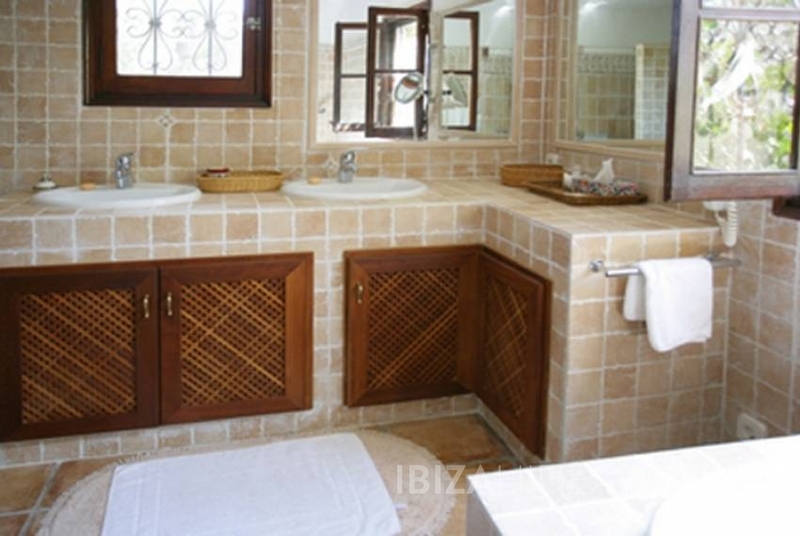 From the villa you have easy access to Playa d'en Bossa, Talamance and Las Salinas beaches, yet it is set in a tranquil environment on 13.000 m2 ground. 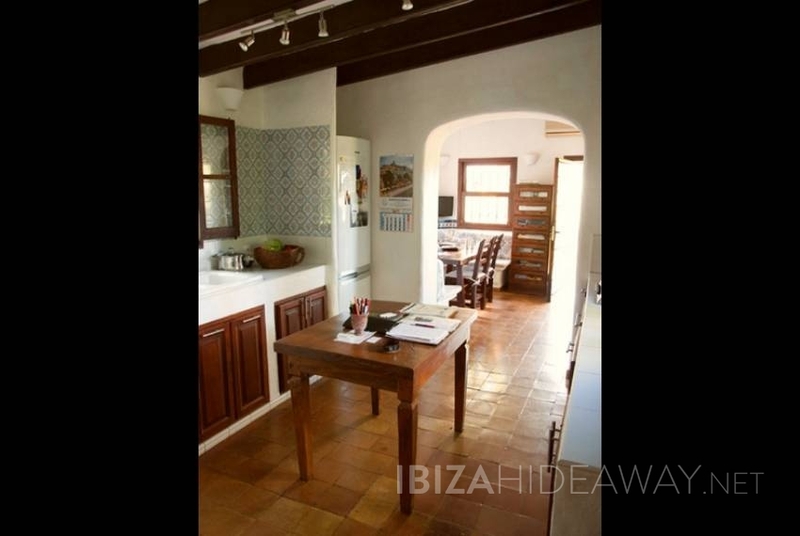 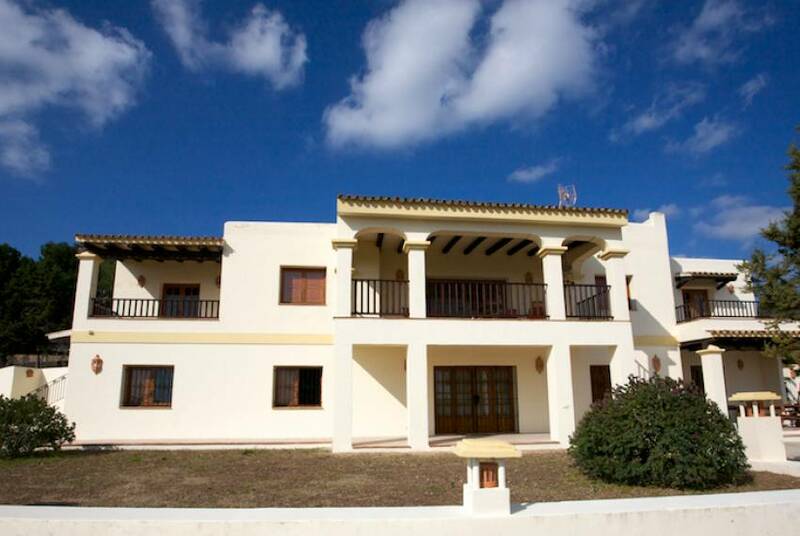 Five bedrooms (three double, two twin), four bathrooms, one WC, in the main house, master bedroom of 30 sm with en suite bathroom located on top floor with terrace opening towards the garden. 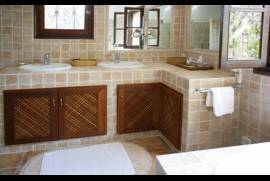 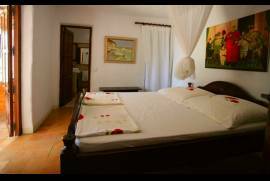 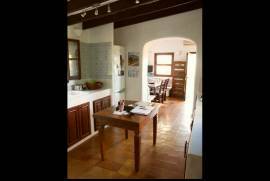 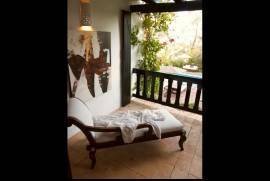 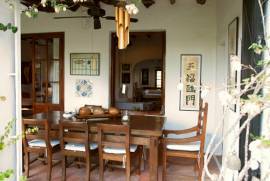 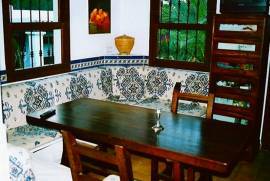 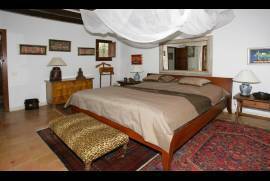 For invited guests, family or staff there is an additional guest house of two bedrooms with one bathroom and an additional kitchen also available. 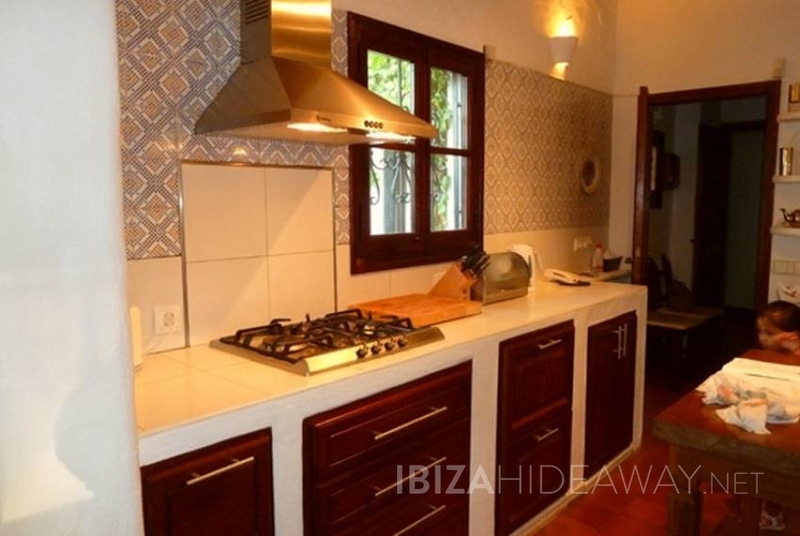 The newly renovated kitchen provides a separate access for food delivery, dishwasher, king size fridge and freezer, five flame gas hob and oven. 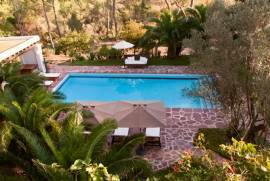 Further amenities include a: 24? SAT TV with DVD and HiFi System, WIFI internet. 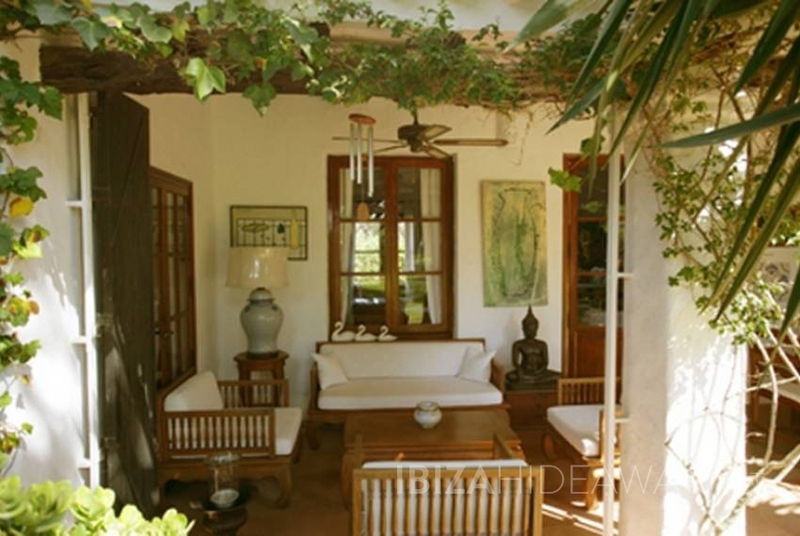 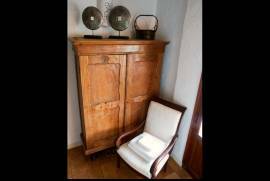 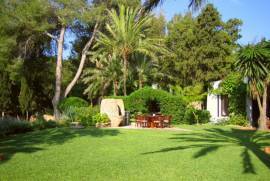 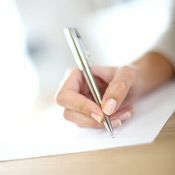 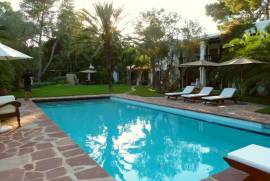 Outside: 13 x 6 m2 oblong shaped pool, 16000 sm mature, exotic garden, with various terraces and colonial-style furniture, partially gated, child friendly house and garden area with lots of green, covered dining area and chillout, bbq.